A camp where every camper leaves with a smile! 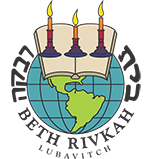 Bais Rivkah's Day Camp has provided thousands of girls over the years with an exciting, rejuvenating, and educational summer program in a warm, safe environment. The added convenience of holding a Day Camp at our Crown Heights campus ensures that students enjoy the best of both worlds- the advantages of a structured and productive summer vacation as well as the opportunity to stay with their family and within the dynamic Crown Heights community. » BRDC is comprised of 3 divisions: Kiddie Camp (Head start & pre-1a), Main Camp (Grades 1-5), and Pioneer Drama Camp (Grades 6 & 7th). Within Main Camp, YOUNGER DIVISION refers to campers who have completed 1st or 2nd grade and OLDER DIVISION refers to campers who have completed 3rd, 4th, or 5th grade. Please feel free to contact the day camp office for more details or to register your daughter/s for this upcoming summer, please call 718-735-0400 x 1122. To reach the day camp office during the summer, call 718-735-0400 x 1127.